Street sign for the 1700 block of K Street NW in Washington DC, at the intersection with Connecticut Avenue NW. Notes: Ever wondered why some DC street signs have the District of Columbia flag on them and others don't? Turns out that they designate evacuation routes out of the city. 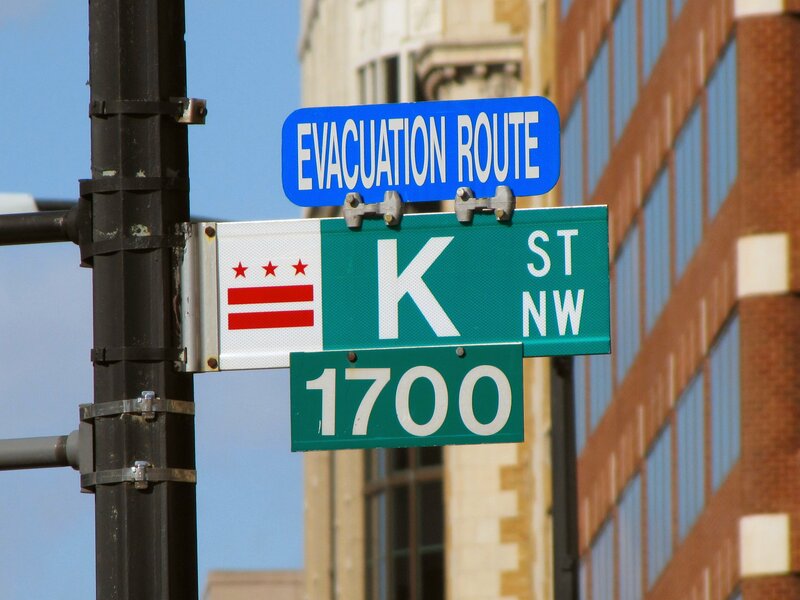 Their function was replaced by the newer "EVACUATION ROUTE" signage also seen in the photo.